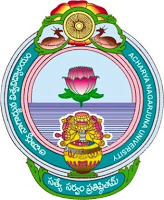 Acharya Nagarjun University has declared the results of Post Graduation P.G. (All Courses) for 1st I Semester exam on the official website www.nagarjunauniversity.ac.in. Students appeared in these semester examinations can check their results online by going through the direct links at the end of the post. Wish you all the very best and have a good result. Keep visiting freshersplus.com for more updates.